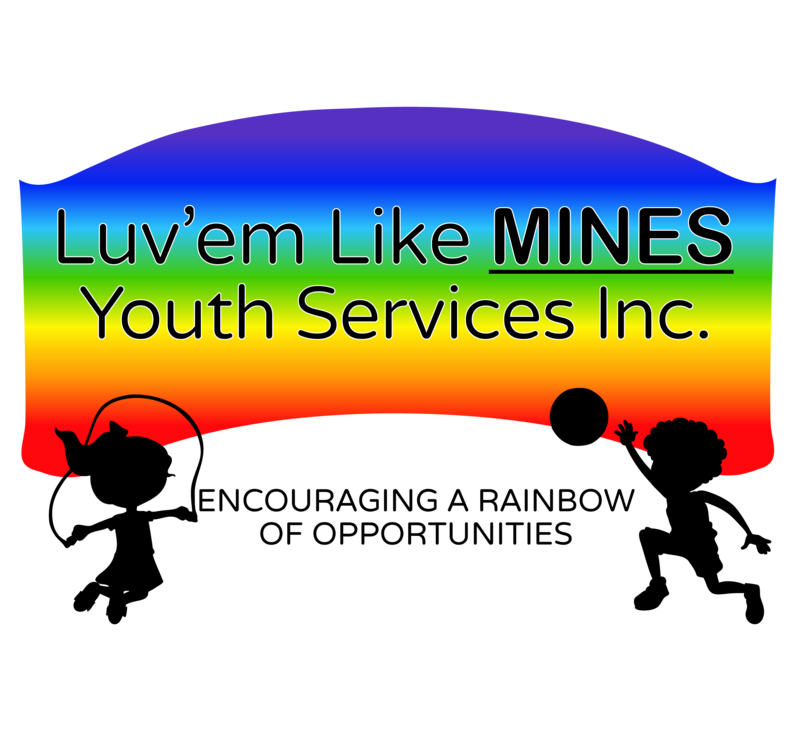 Thank you for choosing Luv’em Like MINES Youth Services, Inc., where we “Encourage a Rainbow of Opportunities”. Our program offers many different services that are designed for young people who are having difficulty in their homes, schools, and communities. We also support young people who are transitioning between services including young people living in group homes, youth centers, youth facilities, or foster homes requiring help adjusting to a new environment. At Luv’em Like MINES Youth Services, Inc., we seek to help these young people through the application of various techniques including behavior modeling and open communication. We know that having consistent and dependable adult presence is important for any child. We can help young people improve their perspective, adjust their focus, and become leaders instead of followers. We want to be the consistent positive influence that will help young people become more responsible and make the right decisions academically, behaviorally, and socially. In this Referent Packet you will find information on all of the services offered by Luv’em Like MINES Youth Services, Inc., please review these carefully. The referral process is easy once you have chosen the service(s) that best fits the youth’s needs, complete the Service Agreement and Client Profile (in its entirety) and send them, along with a Social History, via fax, email or US Mail. Once the information is received and FINAL approval has been given from the agency providing funding, contact will be made with the youth.